We provide a diverse menu of services so that we can cater to every member of your family. In addition, our hygienists will teach you how to care for your teeth and gums with convenient homecare routines. You’re the most important factor in your oral health, so if you have questions about home care, products or dental procedures, our team will happily help. In addition to comprehensive care, patient comfort ranks high on our priority list. We also know the importance of discussing all of your options so that you can make informed decisions about your family’s dental care. We offer the preventative, restorative, cosmetic and pediatric dental services to keep your whole family healthy. When your smile needs help, we’re here for you. 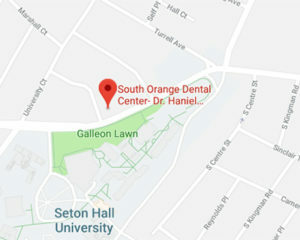 Our talented team will provide the latest techniques in restorative dental care, while making sure that you’re comfortable and confident during treatment. We offer a number of cosmetic services to further enhance your smile. Periodontal disease, or gum disease, is more common than you may think. We will check your mouth for signs of periodontal disease at every dental exam. We recognize that children require specialized care, so we offer several amenities that address their unique needs and make their experience pleasant.